What's In My Bag? The Back-to-School Edition. I graduated from Nursing in the Philippines... So all my fellow nurses out there know how much stress there was during those student days! 7AM to 8PM schedule with only an hour for lunch in between! Don't get me started with clinicals... UGH! HAHA. I regrettably didn't do this post back then. It could have been so interesting to see what I had with me! I was known to bring my "whole house" with me ever since freshman year. LOL. Moving on... So what is in my bag?? 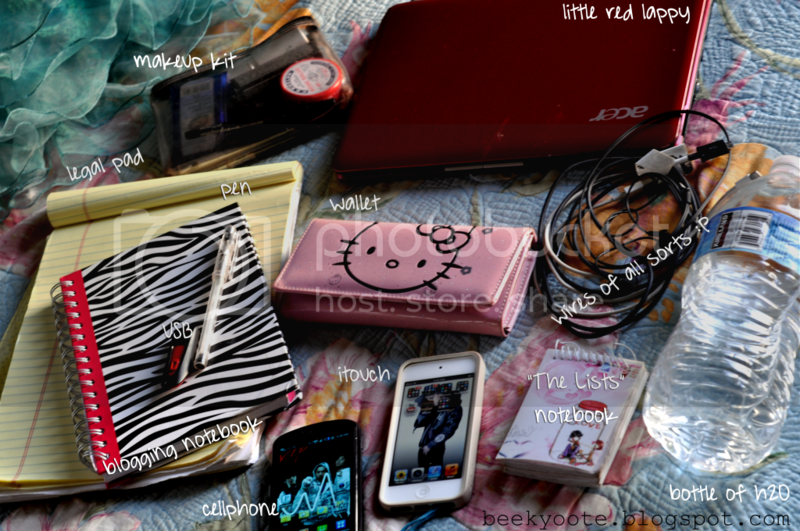 These are the main things you will find if you rummage any bag I have, at the moment. I can definitely assure you it's nothing like nursing school wherein my bigger laptop, my binders, heavy books, and a lot of paper & pens should be found. But right now, I'm so laid back and just enjoying school! I'm basically doing the stuff I couldn't do or didn't have enough time to do during nursing school. Video Editing, Beginning Acting class, & Gym are fun! Did I mention I'm in a musical? Not a major role but I double as the choreographer! TEEHEE. 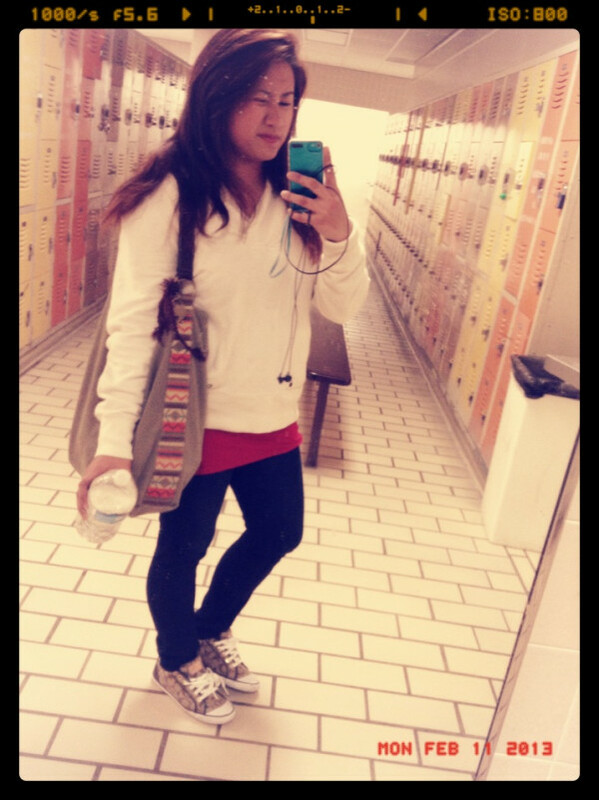 After gym... in the locker rooms. Hi Bee! I really love your blog, It's very neat and nice. I wish I can have all the bags that I wanted, specially some fashion bags, lalo na't kailangan ung size ng bag mo perfect para sa mga items na dadalhin mo sa school gosh -.- I bought my backpack at goods.ph a year ago, and I'm planning to buy another one, but this time, It's for my little brother. Thank you for this post!